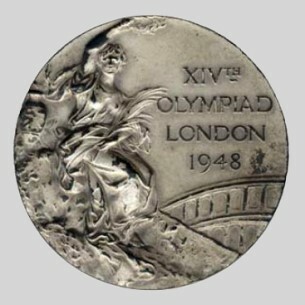 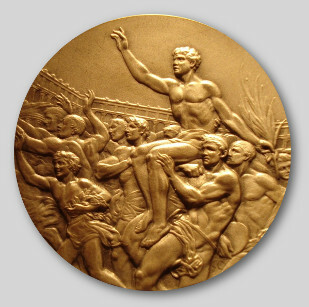 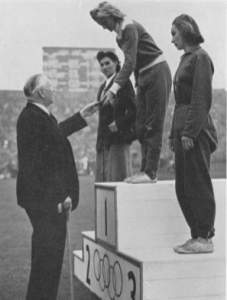 The design used in the 1928, 1932 and 1936 Games for the Olympic medals, modelled by Professor Cassiole of Florence, was again used for the XIV Olympiad, with the alteration of the appropriate wording to " XIV Olympiad, London, 1948." 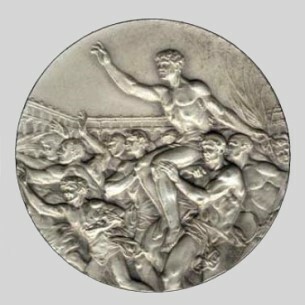 These were struck in silver-gilt, silver and bronze and the number required based on the number of events and therefore the number of eligible victors. 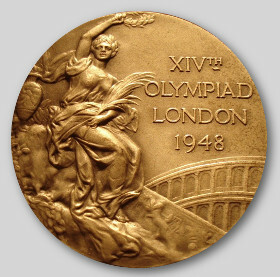 It must be borne in mind that, in computing these numbers, the maximum number for team sports had to be produced, since any reserve of a prize-winning team actually taking part in the Olympic competitions is entitled to a medal.